ABC Announces New Fall Shows And Releases Trailers - Are Any Worth It? - Are You Screening? The networks are getting ready for fall, and the last couple of weeks have been a slaughter when it comes to freshman shows. Some of those losses, which only make fans more fed up with the big networks, were legitimately due to poor performance, but some of them are real head-scratchers. 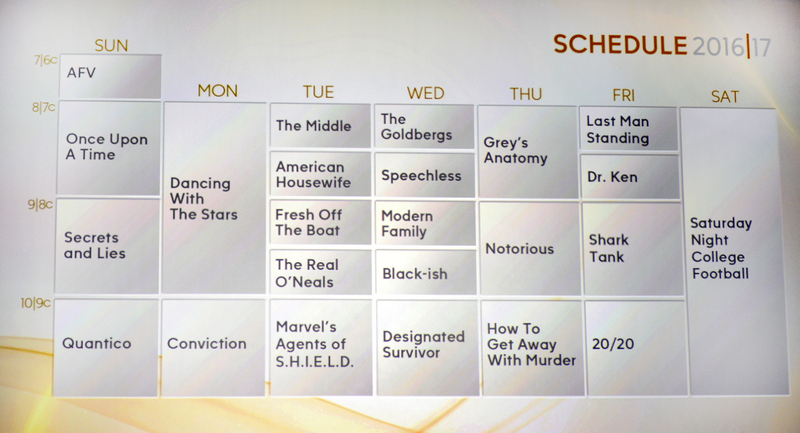 ABC is far from the only network to pull the plug on a lot of shows heading into their upfront announcements, but with the release of the schedule of new shows we needed to make room for, audiences may really start to wonder why they’re still tuning into the big four. Here’s what you have to look forward to as a schedule, and a quick rundown of the new shows you’ll be seeing. ABC seems determined not to learn from the road most cable networks have chosen. They also seem to have an eye for solidifying the idea that there are really only so many actors available for television work. American Housewife may be one of the new schedule’s better chances, but the trailer doesn’t necessarily sell as solid a show as there is reason to suspect this is. Mike & Molly‘s Katy Mixon has comedic talent, wasn’t always used to her potential during that show. With a decent premise, she can keep audiences around. The question here is whether or not she has a decent premise. It isn’t that being a “plus size” (or, however the show aims to label it) woman thrown up against a crowd of “Mean Moms” doesn’t offer plenty of opportunity for laughs, and perhaps more importantly, angst, but it’s an overworked idea. While specifically addressing the non-fitness-obsessed angle is a new-ish tack, the “regular mom vs. the PTA” has popped up in practically every show to focus on women for decades. It isn’t always a constantly recurring theme, like in The New Adventures of Old Christine, but it has been a long time since it was a fresh idea. Worse, the trailer portrays a show that often goes a little silly, and that isn’t the sort of comedy that lasts very long. Still, if this one can make a good effort to jump past the establishment of its gimmick, it has potential. 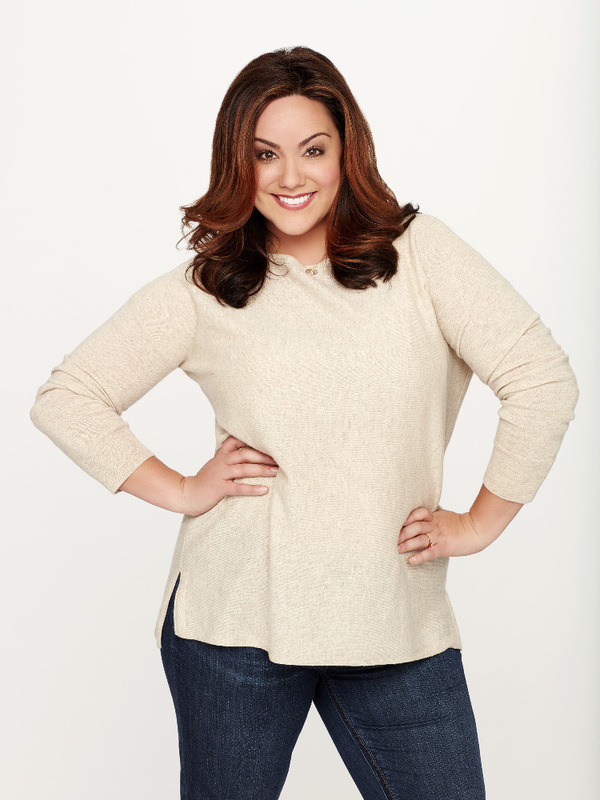 Katie Otto (Katy Mixon, “Mike and Molly”), a confident, unapologetic, plump wife and mother of three, raises her flawed family in the wealthy town of Westport, Connecticut, filled with “perfect” mommies and their “perfect” offspring. She lets us in on her deepest, most unfiltered thoughts through voiceover as the she lives her life as the second fattest housewife in Westport. The series stars Katy Mixon as Katie Otto, Diedrich Bader as Jeff Otto, Johnny Sequoyah as Taylor, Daniel DiMaggio as Harrison, Julia Butters as Anna-Kat, Carly Hughes as Angela and Ali Wong as Doris. American Housewife is written by Sarah Dunn (“Spin City,” “Bunheads”) and produced by Kapital Entertainment and ABC Studios. Aaron Kaplan, Rick Weiner and Kenny Schwartz are executive producers and directed by Ruben Fleischer, also an EP. Now that we have a show with a decent chance of offering some fun, and not insulting audiences out of the way, the schedule is about to get real. Real in the sense that if I said that I made up one of these shows, and you have to pick which one that is, it might not be that easy. So, really real. Fans of the first season of Fargo have been begging for more of Allison Tolman. Well, there’s always a chance of a real shocker, but Downward Dog probably isn’t quite what you were hoping for. The show is being held for mid-season, and it’s going to make much of the fact that it’s “based on a web series,” but that’s clever marketing that’s really trying to trick you. You’re obviously going to search for the web series, so you can get an idea of what to expect, but don’t bother. You’re also naturally going to think to yourself that this is based on a web series that was so popular that we decided to bring it to pilot, but that’s what they’re hoping you think, so you’ll tune in… not so you’ll look for it. It’s based on an unreleased web series. The show is bonkers, though bonkers has worked before, and is basically a “grown-up” version of Dog with a Blog… except that the dog doesn’t really talk. There’s no way to explain it, so you’ll have to check the trailer. You may want to watch to see Tolman, but I’m not sure why you’ll come back. 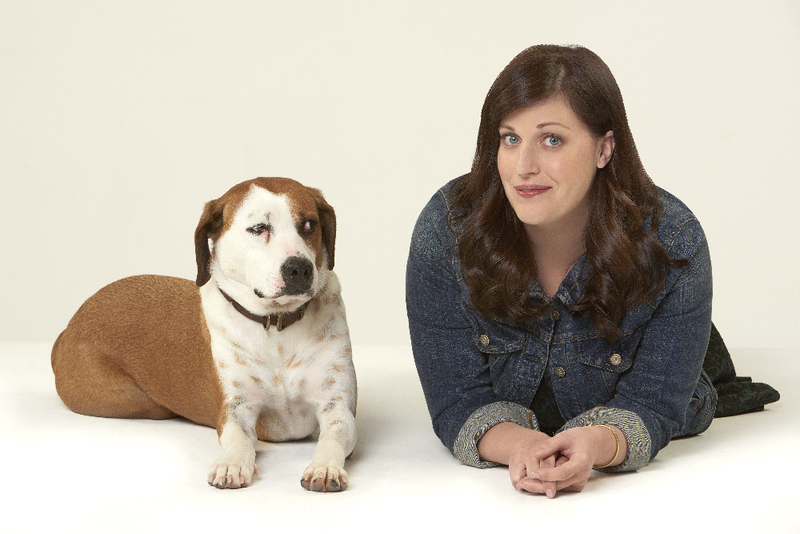 Based on the web series, “Downward Dog” is about a struggling millennial, Nan (Emmy nominated Allison Tolman, “Fargo”), from the point of view of her lonely and philosophical dog, Martin. One session at obedience school already makes them realize that even at their worst, they may be the best thing for each other. The series stars Allison Tolman as Nan, Lucas Neff as Jason, Kirby Howell-Baptiste as Jenn, Barry Rothbart as Kevin and Mo Collins as Kim. Not quite in the mood for the voiceover narration of a dog? How about an imaginary friend? You may know that going into last fall Adam Goldberg got me to revisit The Goldbergs. That’s because I didn’t like the show at first, and hadn’t gone back. I had to admit that he was right, and the show had turned around, refocused the style of the comedy, and didn’t just have Dad walking around in his underwear all the time. I obviously haven’t seen Imaginary Mary (it doesn’t even have an official synopsis at this point), but Adam is going to have a much more difficult time with this one. That’s a double-whammy for me, because as much as I’d love Adam to connect with another comedy, I’ve been waiting for Jenna Elfman to get involved in something I could get excited about since Dharma & Greg. This one revolves around Elfman’s character getting very close to a man who has kids, and the fear of such a commitment apparently causes her childhood imaginary friend to make a comeback. Thus, we get to see the ensuing hilarity of said character having conversations with her imaginary friend, who, by the way, she promised she wasn’t going to… become an adult, or something. Seriously, all of these shows are real. Now, here we have one that people might latch onto, and though it could easily go either way, there may be good reason. Still, if you were playing “make up fake shows and who stars in them,” this would get you a lot of points. Minnie Driver’s About a Boy didn’t pick up enough steam, though it was a good show, and she’s back in another “kind of weird Mom” effort. Speechless focuses on a family, with Driver mostly at the helm, with more than the usual set of circumstances to overcome. The trailer paints a solid picture of a family coping with the fact that one son has a lot of limitations… while dealing with their Mom dealing with that. The show also stars John Ross Bowie, of The Big Bang Theory fame, and thank God he finally gets to do something a little more serious. Not that I imagine he is spending a lot of time bemoaning his fate, but he has a lot more in him. The problem here is that it’s very difficult to get past the first few episodes of a show that focuses on any sort of disability. It might be great, but once past the initial showcase, the series has to “do something,” and get audiences to keep watching. Historically, this is tricky… to the extent that “historically” can apply to the situation. This one looks like it could be a lot of fun, but that’s because the trailer has me wanting to watch the pilot, not necessarily because that translates into wanting to watch season two. “Speechless” stars Minnie Driver as Maya DiMeo, John Ross Bowie (“The Big Bang Theory”) as Jimmy DiMeo, Mason Cook as Ray DiMeo, Micah Fowler as JJ DiMeo, Kyla Kennedy as Dylan DiMeo and Cedric Yarbrough as Kenneth. Scott Silveri (“Friends”) writes and is executive producer of the show, along with “Fresh Off the Boat’s” Jake Kasdan and Melvin Mar. The series is from Twentieth Century Fox Television and ABC Studios. Hot off her stint as Agent Carter, which was pulled after two seasons, Hayley Atwell returns for a show that has a slight chance, but has to get past an utterly goofy premise. In Conviction, Atwell plays the daughter of a former President, who is a “bad girl,” and has spent her life, as the trailer suggests, trying to screw it up. When she makes yet another mistake, and is headed for some jail time, she is offered an alternative. To put things in a nutshell, that new job is to head an investigative team who will listen to Serial, and try to right the wrongs perpetrated by the criminal justice system… or whatever. The trailer seems to be working against itself, spinning together two completely different shows. It’s hard to imagine that if the show gets past six or seven episodes, there will be anything left of the “bad girl,” antics. At least, one hopes. In addition to Atwell, “Conviction” stars Eddie Cahill as Wayne Wallis, Shawn Ashmore as Sam Sullivan, Merrin Dungey as Maxine, Emily Kinney as Tess Thompson, Manny Montana as Franklin “Frankie” Rios and Daniel DiTomasso as Jackson Morrison. 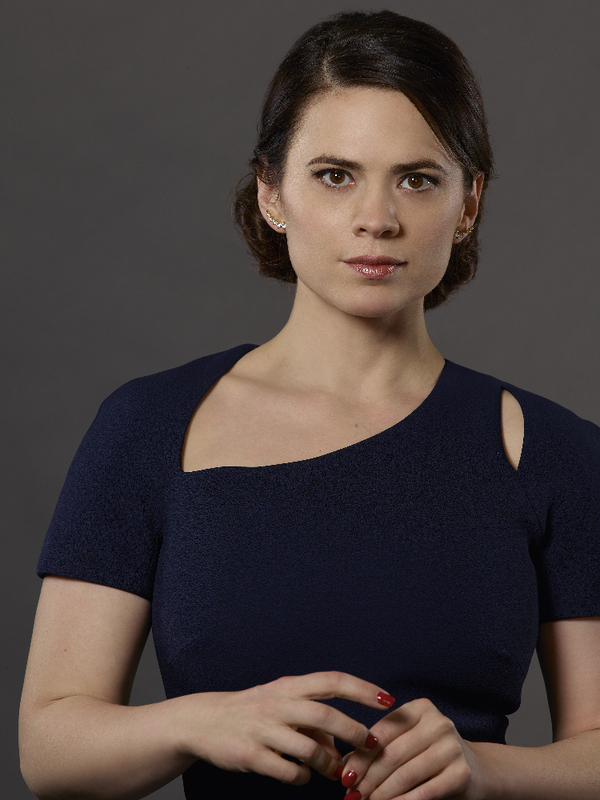 Co-created by writer Liz Friedman (“Elementary,” “Marvel’s Jessica Jones”), and director Liz Friedlander (“The Following”), “Conviction” will be executive produced by Mark Gordon (“Criminal Minds,” “Grey’s Anatomy,” “Saving Private Ryan”). “Conviction” is from The Mark Gordon Company and ABC Studios. In case you aren’t paying attention to the recycling of actors, Kiefer Sutherland has himself another show. This one looks like the safe bet is that it will implode under the weight of its own delusions of grandeur. Sutherland plays a cabinet member who suddenly becomes President when a terrorist attack blows up everyone else in line. He has to prove himself in a hurry, deal with his family, and figure out whether or not he’s going to take the country to war… apparently. This is one of those shows that really lays everything out in the trailer. If you think you’re going to like this one, you probably are. 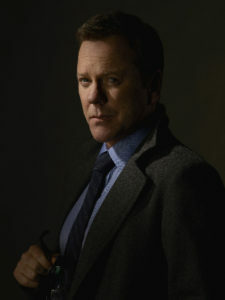 Emmy and Golden Globe winning actor Kiefer Sutherland (“24”) returns to primetime in a conspiracy thriller as Tom Kirkman, a lower cabinet member who unexpectedly becomes president after a devastating attack on Washington. He will struggle to prevent the country and his own family from falling into chaos, as he is thrust into one of the most difficult presidencies in history. “Designated Survivor” is from The Mark Gordon Company and ABC Studios. David Guggenheim is creator and executive producer. In addition to Guggenheim, the series is executive produced by Simon Kinberg, Kiefer Sutherland, Mark Gordon, Nick Pepper, Suzan Bymel, and Aditya Sood. Paul McGuigan directed the first episode. 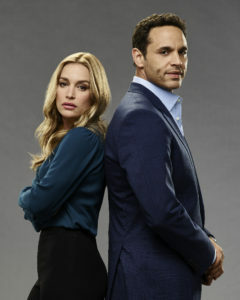 With the loss of Covert Affairs, Piper Perabo is available for Notorious, a show that is taking a hint from the success of UnReal, and offering up a behind-the-scenes look at ridiculous people. Our excitement here revolves around a news producer, and the “surprising” lengths she’ll go to in order to secure ratings for her show. It seems that comes, at least in large part, by working together with the lawyer she’s in a relationship with. The trailer sells us on a high-profile client, and the collusion between lawyer and producer, which is a hard task as something that continues to make sense week after week. But, drama for drama’s sake, and the lifestyles of the stupid and obnoxious get viewers, so here you go. We’ve blended it all up into one thing. On the other hand, if the show goes a little more UnReal about things, it might be awesome. 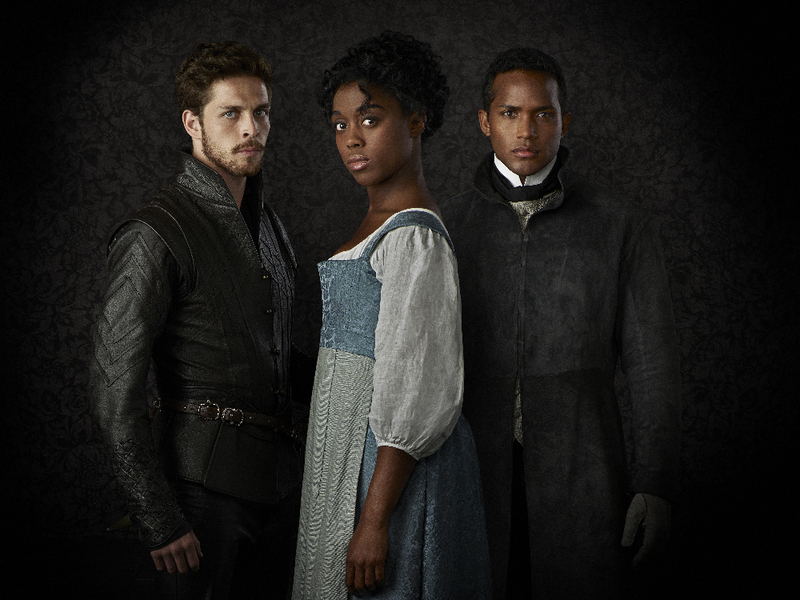 Finally, Still Star-Crossed, based on the book by Melinda Taub, is a Shondaland effort (or otherwise claims some connection to Shonda Rhimes, because that sells) that looks right on par with everything else Shonda Rhimes has done. Do with that what you will. The ABC Youtube account has pulled the trailer since it was released just after the upfronts, but I’m sure you’ll get another one soon. It obviously doesn’t matter though, because if you’re a Shonda fan, you’ll watch anything, and this is going to be filled with tragic drama, treachery, and really winning dialog. Huzzah! Heather Mitchell (“Scandal,” “Grey’s Anatomy”) is writer and executive producer, Shonda Rhimes, Betsy Beers, and Michael Goldstein are executive producers. Michael Offer is executive producer and director of the pilot, from ABC Studios. Post-finally, because it’s unclear when this one will show up, ABC ventures into sci-fi with Time After Time, a recreation of the film premise. The series stars Freddie Stroma (“Harry Potter” films) as H.G. Wells, Josh Bowman (“Revenge”) as John Stevenson/Jack the Ripper, Genesis Rodriguez (“Big Hero 6”) as Jane and Regina Taylor (“Dig”) as Vanessa Anders. “Time After Time” is from Outerbanks Entertainment in association with Warner Bros. Television Williamson and Marcos Siega (“Blindspot,” “The Following”) are executive producers. Siega directed the pilot. Williamson wrote the teleplay. “Time After Time” is based on the novel written by Karl Alexander.